Watson-Crick bonds guanine-cytosine and adenine-thymine helically shape DNA. If I understand correctly, a sequence in only two of the nucleotides, for instance TGGTGTGGGTG ... would determine the dual side (ACCACACCCAC...), because the only possible bonds are TA, and GC. I am interested in knowing if there exist double bonds in useful biomolecules. Precisely, I'd be interested in knowing if there exist a useful double bond present in chains of (something like) nucleotides. Not the answer you're looking for? 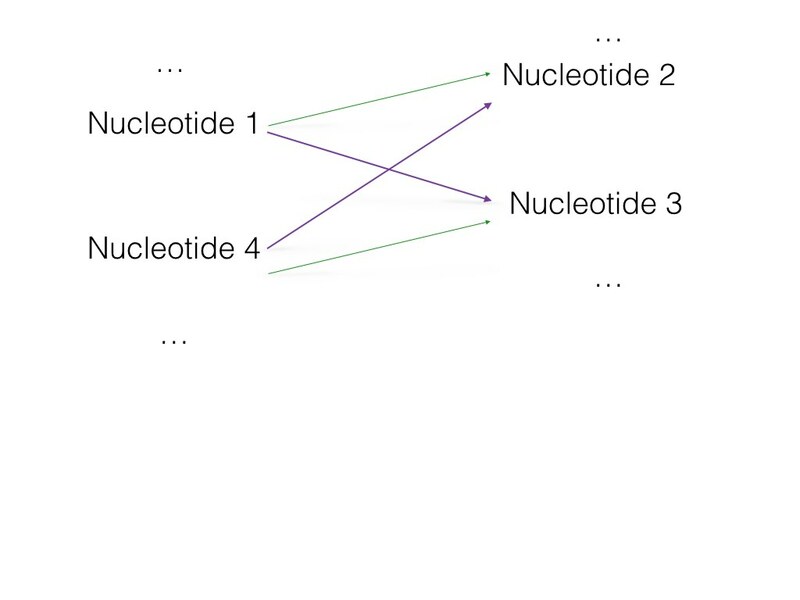 Browse other questions tagged dna nucleotide or ask your own question.